Lettuce first appeared near the Mediterranean basin more than 4,000 years ago. Initially it was probably just regarded as a nuisance weed but it wasn't long before it was appreciated as a Food and a medicine. Hippocrates, the Father of modern medicine, advocated its use. In ancient Rome it was prescribed to relax the bowels and indeed Augustus (first emperor of the Roman Empire from 27 BCE to 14 CE) was so impressed with it that he erected a statue to it. Lettuces name comes From the Latin word Lactuca, which means milk (because of the white sap of the stem) The name of its major chemical “Lactucin” echoes this. In folklore, lettuce is sad to Have a calming effect on the body, so much so dial if you can eat several heads of t you may become euphoric. Perhaps this is why rabbits always seem so happy., or is it why they breed so often? • Cos (also known as Romaine): I his variety of head-forming lettuce has deep green, long leaves with a crisp texture and deep taste. • Loose-leaf: Featuring broad. curly leaf varieties fiat are green and/or red. The loose-leaf Iettuces offer a delicate taste and a mildly crispy texture. These lettuces do not form true heads, but have leaves joined at the stem. 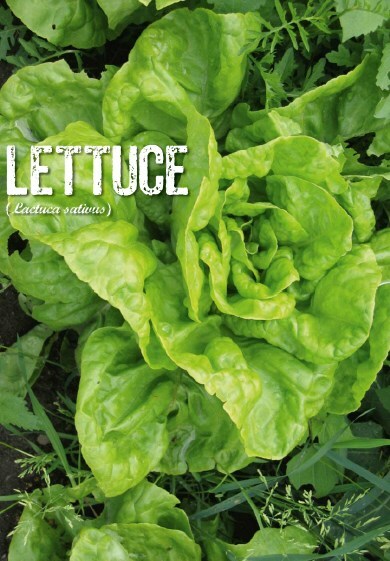 All coral, baby-leaf and salad mix lettuces belong to the loose-1 leaf lettuce group. As with any other green leafy vegetable, the darker the lettuce the better when it comes to nutrition. If you eat the more bitter lasting lettuces you are not only generally getting better nutrition, you area so stimulating your digestion. Bitter tastes stimulate the flow of digestive juices which is why bitter salads (or even on aperitif) are a good idea prior to a meal. As far as specific nutrient le.es go. the United States Department of Agriculture (USDA) maintains a database called the USDA National Nutrient Database for Standard Reference which shows nutrient levels n foods and It illustrates that the different lettuce varieties have quite different nutritional profiles. Iceberg lettuce, the most popularly consumed lettuce in Australia has more fiber than some lettuces but t is low in vitamins and minerals. Cos lettuce emerges as the best nutritional choice, it has more Fiber than Iceberg lettuce but is also a good source of vitamin C, folate, and vitamin A. It also provides 101 times more beta - carotene than iceberg lettuce and almost as much is spinach. All of this combines to mace romaine one of the healthiest of all the lettuces. Loose-leaf lettuce overall has the next best nutritional value to Cos lettuce. According to the USDA, loose-leaf lettuces deliver reasonable amounts of calcium, phosphorous, potassium, manganese, vitamins C, vitamin A and vitamin K.
Butterhead lettuces also surpass Iceberg varieties in almost every nutrient category and have the highest amount Cc iron of al lettuces. When you plan your lettuce crop it’s perfectly alright to include some Iceberg lettuce, if you wish to do so. However it's worth spicing your palate and your health up by making some of these other lettuces the staple parts of your lettuce crop. When to plant: Sow all year, but can bolt to flower in the hottest months. Stagger planting for a continuous harvest. Sow directly into soil between 3-5mm deep. Mix seed with coarse sand to help with spacing, light helps germination so don't ewer them Thin to about 100mm between plants. Climate: Lettuces grow in all areas of Australia, in subtropical and tropical regions plant in cooler shaded areas of the garden and try the loose leaf varieties. Aspect/placement: Plant in full sun. but will tolerate some shade. Great in pots, be sure to use a quality organic potting mix. Specific needs: Grow lettuces quickly for crisp and tender leaves. Prepare the soil with compost and well-rotted manure; keep well watered and mulched to protect shallow roots. Fertilize fortnightly with seaweed solution. Companion planting: Grows well with carrots, radishes, beans. Harvesting: Mature in 8-11 weeks, but start picking leaves on non-hearting varieties as soon as they are ready. 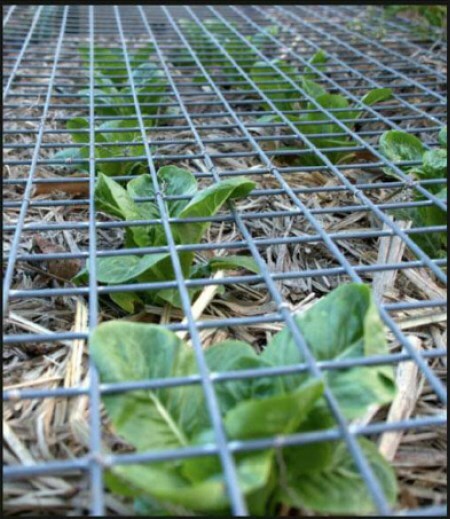 It can be a challenge to eat all the lettuce that you grow. Typically, all of your lettuce crop will heart at the same time and optimum quality for a lettuce holds only for a few days. Your best plan is to have successive sowing of 10-20 seeds every month during spring, summer, and autumn. Try to find late maturing varieties as well to keep your harvest staggered.